A startup is a perfect business model for fresh entrepreneurs. It can grow quickly and generate a lot of profit in case you design and develop an innovative product. This is why entrepreneurs launch around 100 million startups each year. But there is the other side of the coin, too. Besides the product, you also need to invest money and effort into the marketing strategy. Your startup will not gain success without a powerful marketing strategy – that’s the hard truth that every entrepreneur should acknowledge. There are numerous content creation models you ought to use in that regard but videos should be the primary promotion channel. In this article, we will show you 5 powerful video marketing tactics that will boost your startup right off the bat. Why Startups Need Video Campaigns? First of all, people (a.k.a. your potential customers) are generally visual perceivers, so they find seeing images and watching videos way more comprehensible than reading plain text. This type of digital content turns watchers into advocates as 92% of mobile consumers share videos with others. 4 out of 5 viewers find demo videos helpful. Studies show that almost three-quarters of users who watched an explainer-video about a product subsequently bought it. YouTube is the second most trafficked site (after Google) as people watch more than 500 million hours of video each day on YouTube. Google recognizes and rewards videos, and such content is 53 times more likely to end up among top 10 search results than written content. Problem: Tell people about the problem that an audience might have and emphasize that your product can solve it. Solution: Show them how to solve the problem using this item. How it works: Give a brief explanation about the product mechanism. Live videos are a growing trend – more than 13% of web traffic from video comes from live streams, and the number is growing. Modern users enjoy the ephemeral and short-lasting content – this is why Snapchat became such a big deal but also the reason why Instagram and Facebook added this sort of content to their own platforms. Production of the live video is very simple and cheap in this case. You only need a high-quality mobile device to show the backstage of your startup and get the followers acquainted with your colleagues. It reveals the human side of the story, which is important because customers tend to trust people more than brands or companies. It’s definitely one of the best ways to build a bond between your company and the audience. 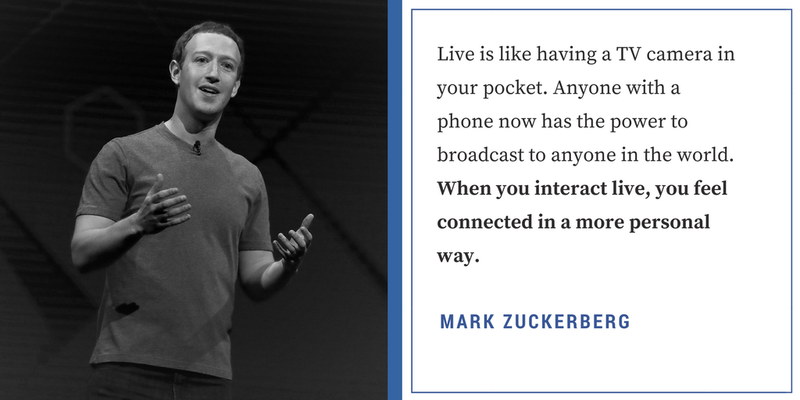 Another benefit of live videos is that they inspire users to engage, so you will probably generate a lot of likes, shares, and comments. Of course, don’t miss the opportunity to answer their comments and strengthen relations with future clients! We mentioned already that online customers trust people more than companies, which opens the door to the word of mouth marketing. Since we are talking about video marketing strategies for startups, word of mouth essentially means you should make testimonials with real buyers describing the benefits of your services. Such content deems more realistic, so it drives trust and boosts the credibility of the startup. You can shoot professional testimonials or invite social media followers to send you amateur clips. User-generated content is often more appealing to consumers than professional videos. The reason is simple – amateur content screams authenticity and proves that you already have a solid base of loyal customers. Social influencers are one of the most powerful marketing tactics. Combine it with video content and you’ll make an outstanding result. Andy Crestodina "Video. The Power of Visual Hierarchy"
Influencers already have a broad base of followers and you can use them as the medium to approach the brand new group of potential customers. Conducting an interview allows you to present the startup to the world and show everyone that you are just as skilled, smart, and proficient as the person you are talking to. Youtube is the largest video platform in the world which you have to exploit to promote your startup – ignoring it is a marketing crime. 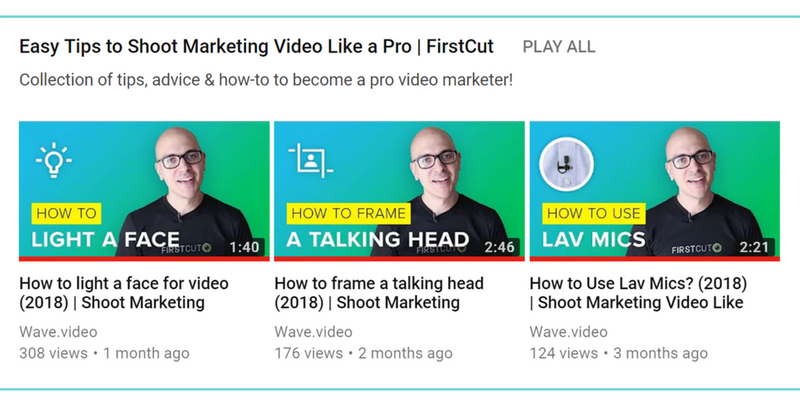 There are basically two ways to include Youtube to your video marketing strategy: create your own channel or use paid advertising. Even though each method has its own advantages and disadvantages, we strongly suggest you create a channel that not only promotes the product but brings value to your viewers in the first place. Be relatable and to the point, answer questions that your audience might have and solve their problems in the videos – it will help to position your startup as an expert in the industry. Last but not least – do not forget to optimize your videos! It’s not enough to just upload a video on Youtube waiting for dozens of views – without proper optimization, it will not be able to reach your target audience and will simply fade away unnoticed. Don’t let it happen! Learn how to optimize your videos here: Video SEO: Optimize Like A Boss and make the most of your channel. You are now convinced that adding video to the marketing strategy of your startup is a must but still need some inspirational ideas to start creating ones yourself? We got you covered. Check out this presentation for 10 types of video that will surely benefit your video marketing. And yes, you can create those in less than 5 minutes using wave.video. Enjoy! Building a successful startup without the corresponding marketing campaign is almost impossible these days. As a brand new company, you need to come up with some great content to win over customers. Video content is especially important in that regard, so you have to learn the basic principles of digital video production. 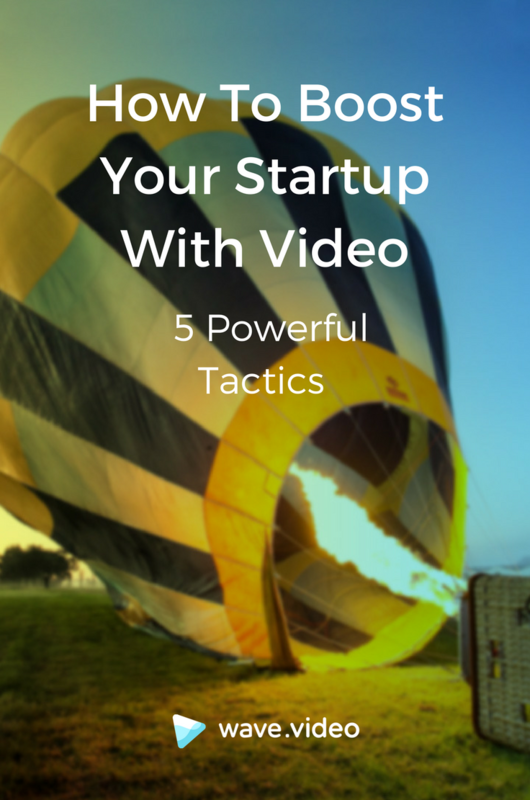 In this article, we showed you top 5 video marketing strategies for startups. Feel free to follow our suggestions and let us know in comments which tactics will do the most for your business! About the author: Eva Wislow is an entrepreneur and career coach at CareersBooster resume service. She is on a mission to help people find their true calling. Eva maintains a strong interest in bringing the digital revolution in human resources. She finds her inspiration in writing and peace of mind through yoga.